Finally we started our motorcycle season. At the weekend the weather was great and we did the first tour through the beautiful Wachau. 🌻 From now on there are again new photos and videos from us. We look forward to many exciting adventures and new experiences with you. Have fun on your travels and take care of yourself. 🌍 PS: We also wish all the best to Valle on Tour, Motogether, Ich bin Ich Adventures, Discoveringtheworld and many more for their Round the World Travels!! The online platform 🐳 Dirt Orcas has asked us some very interesting questions. 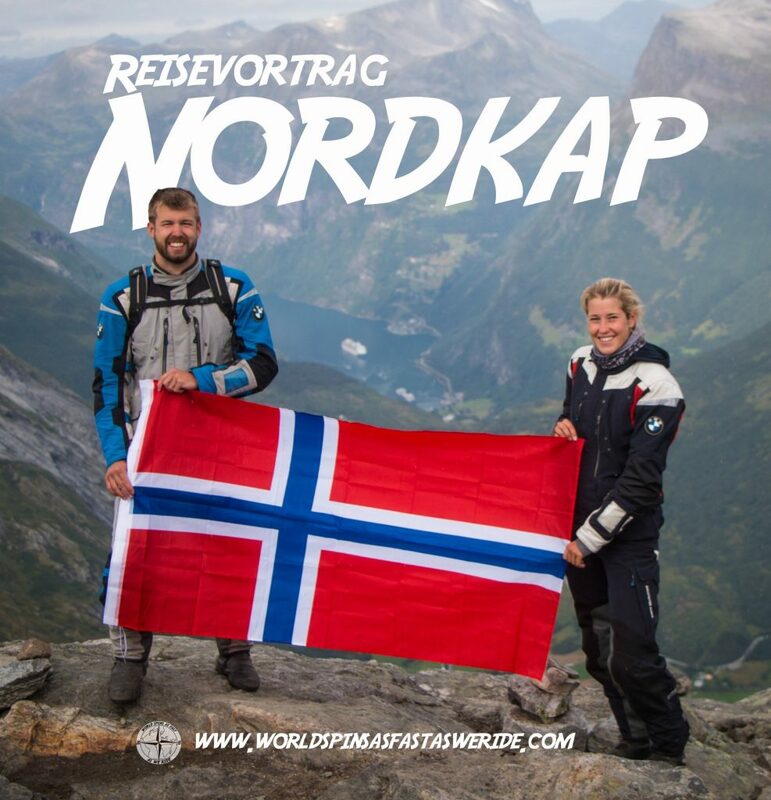 We feel very honored to be in the same category as: Jürgen von I Am Adventures, Katja & Maruis by Motogether, Vlad by Ride with Vlad, Kinga by On Her Bike, Tim Burke by Tim Burke Photography, Alex by Alex Chacón or Lea Rieck by Got2Go and many more. 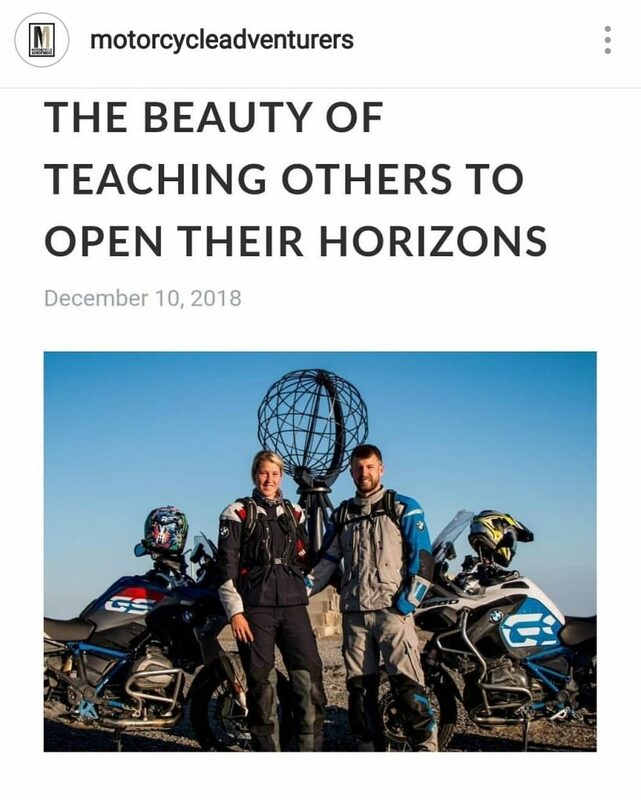 Below you will find a link to the interview and the website, where you can read some very interesting interviews with other travelers. 🙏 Many thanks to Paul and the Dirt Orcas team for this great opportunity. Have fun while reading!! 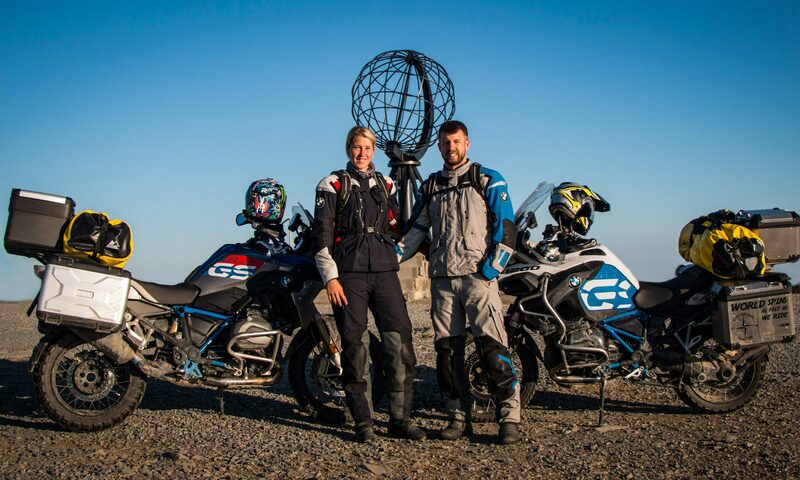 Shortly before the start of the season, we would like to show you the first part of our North Cape trip in summer. ☀️ In three minutes from Vienna Central Station to the North Cape in Norway. On more than 7,000 km of our journey, we have experienced a lot, seen great scenery, met new friends and discovered the love of off-road driving. Have fun!! #1 travel presentation and 3.000 follower on facebook! We Wir have already reported about our travel report a few days ago. 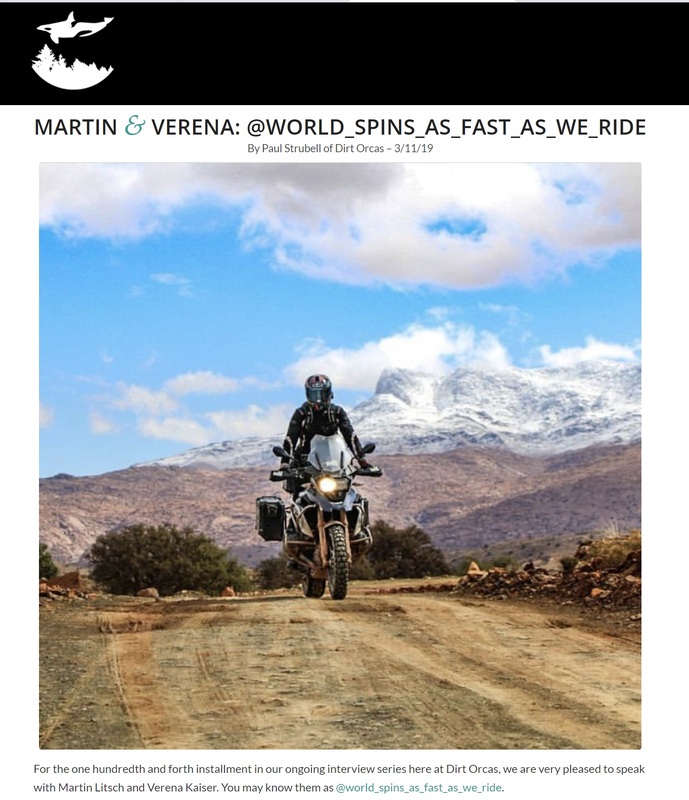 The motorcycle blog Kurvenfahrer.at and Johannes Rein have posted a report on their blog. We are excited about the many messages and comments in the last days and weeks. 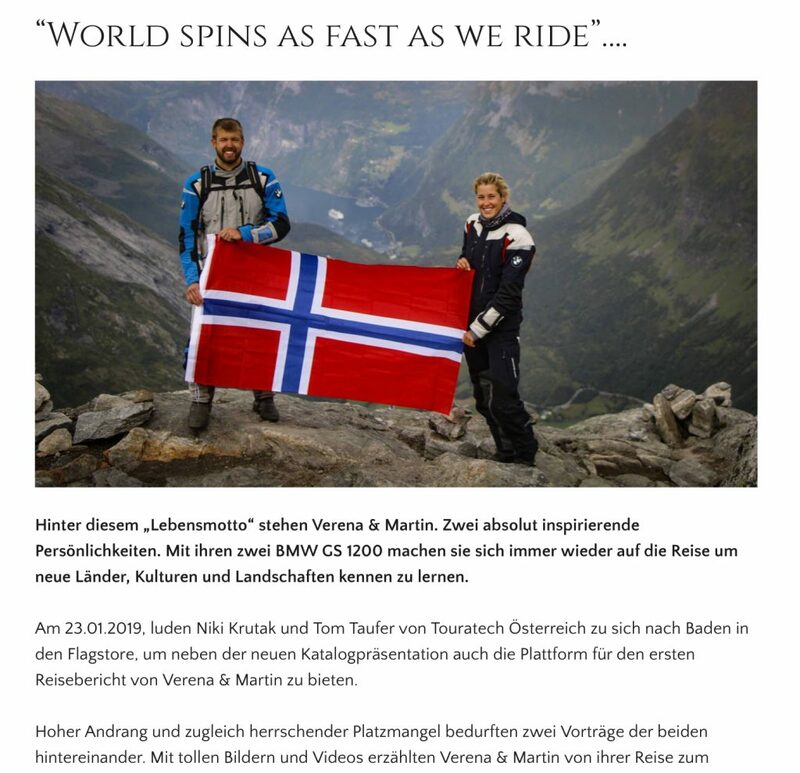 On 23.01.2019 we will talk about our trip to the North Cape at the catalog party’19 from Touratech Austria in Baden. We would be very happy to see you! PS: The entrance is free! At the end of October we spent five days in Portugal and Spain. We rented three motorbikes at Hertz Ride in Porto and made our way to Galicia. There we had all four seasons in one day. Snowfall and minus degrees in the mountains and up to 20 ° C and sunshine on the coast. Have fun with our video. We would like to show you our first interview. A few weeks ago Miguel from Portugal wrote us if we would like to answer a few questions for his website. We were honored and agreed immediately! Below you will find the links to the website, have fun with it! At the beginning of March it was finally time. We were allowed to be at the delivery and installation of the new bike. Many thanks to Max, Flo and the entire BMW Vienna Heiligenstadt team. Unsere Webseite nutzt Cookies um dir ein besseres Einkaufserlebnis zu bieten. 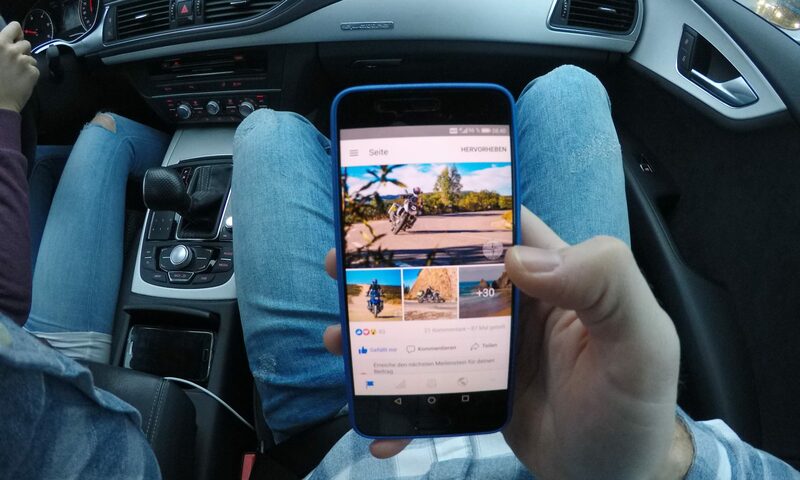 Nähere Information darüber, wie Cookies genutzt werden, welche Daten gespeichert werden und wie sie gehandhabt werden findest du in unserer Datenschutzerklärung. Find out more.